You are invited to be a part of a special evening to enjoy and help support after the game ministries. 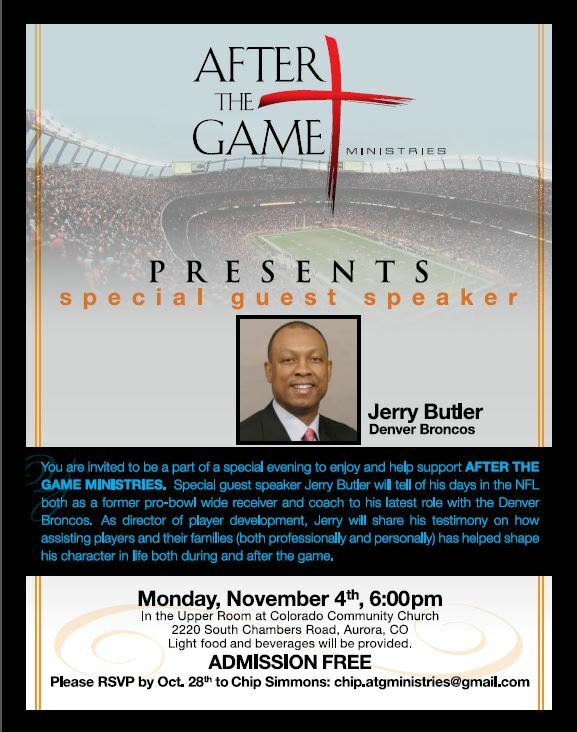 Guest speaker Jerry Butler will tell of his days in the NFL both as a former Pro bowl wide receiver and coach with the Denver Broncos. As director of player development, Jerry will share his testimony on how assisting players and their families has helped shape his character in life during and after the game. RSVP to Chip by October 28th.